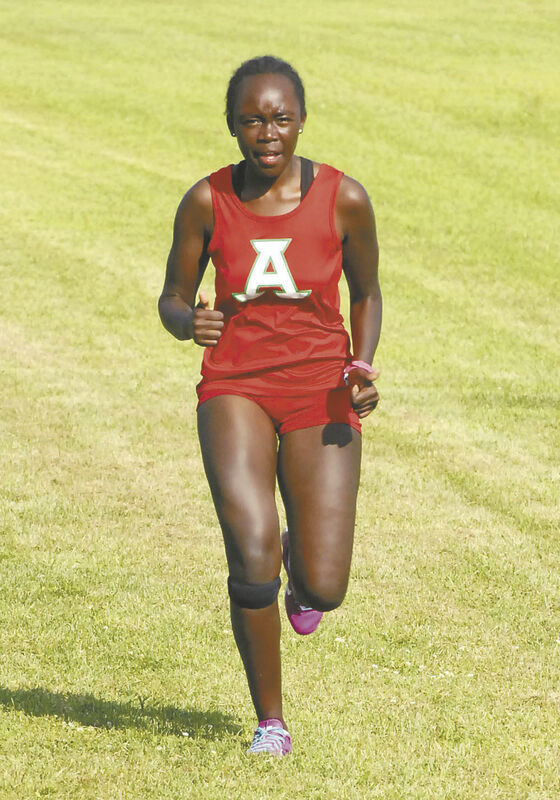 ANDERSON — Both winning individuals as well as the coach of Anderson’s victorious teams were in agreement on one thing in Tuesday’s Anderson City Cross Country Meet. It was hot and humid, and that affected the runners’ times, but they were content with how it turned out. As for the winners, they stayed the same as last year. Anderson Prep senior Michael Taylor coasted to his third consecutive city title, Anderson senior Sharon Kulali repeated on top in the girls race, Anderson’s boys prevailed in a tight contest and the Indians’ girls scored a perfect 15 points, as they were the only school with five runners. Taylor knew he didn’t have his best race, because of the 90-degree heat at Davis Park, but he was clearly the best. He was timed for the 5,000 meters in 17 minutes, 13 seconds, with Anderson’s Aaron Ditsworth crossing the finish line 70 seconds later. “I think I ran pretty well,” Taylor said. ‘”It was a little hot and a little dry, and the sun was out. More like a hot day. Kulali led the girls — who were running with the boys — all the way, but it was a tighter finish than Taylor’s. Kulali came in at 24:44, and teammate Jade Mullins ran 25:02. Anderson coach Cary House said all three boys squads were “pretty evenly matched coming in,” and the results proved him right. The Indians scored 38 points, and there was a dead heat between APA and Liberty Christian for second. Both had 43 points. “Aaron Ditsworth ran probably the best tactical race of the season,” House said. Ditsworth stayed with Taylor much of the way. Dryden Thomas was the second Indian home, in sixth. Eduardo Gomez finished ninth, James Glazebrook 10th and JJ Coleman 11th. “(Thomas and Glazebrook) beat a couple of guys that they hadn’t beaten previously, and that’s what set us over the top,” House said. The next three girls, all from Anderson, were Vanessa Pendegraft, Kaylie Vaughn and Melissa Hernandez.